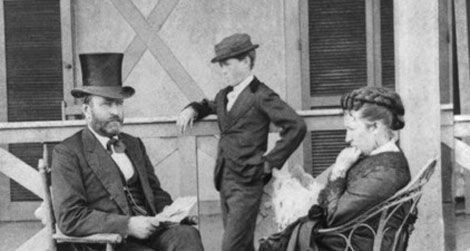 The First Lady Grant: Julia Grant with husband and son. Hear ye! Hear ye! The Grant Applications portal is now open! Students, Faculty and High School teachers can find info here. If you work outside of academia you can find info here. As Ben Franklin would have said if he knew about the program, “Ready money can be found in the SESUG Grants. Apply today!” Read on for a behind the scenes look at the Grant program with the incoming Grant Lady, Charlotte Baker. Chuck: Hello Charlotte, it’s good to see you. You’re looking wonderful today! Charlotte: Thank you, Chuck. It’s good to see you, too. Chuck: The Grant program has been around a long time, but with so many people attending the conference, why do we need it? Charlotte: Many new SAS users can benefit a great deal from attending a conference like this in terms of long-term SAS use, but they can’t afford to go. The Grant program is a mechanism to help those people get to SESUG who otherwise couldn’t by giving reduced registration and hotel rates, and an opportunity for travel stipends. We want new people and new ideas! Chuck: You say they can benefit. Why is the conference good for grantees? Charlotte: Grantees receive all the usual good stuff when they attend SESUG plus a built-in network within the network for longer term support. Grantees also get to see a bit of the inner workings through volunteering during the conference. What’s not good about that? Chuck: I’ve seen the budget and I know that the Grant program is expensive. Who pays for the grants? Charlotte: SAS Institute pays for most of the grants and SESUG pays for the rest through the general conference budget. It is a big investment but totally worth it. Chuck: It sounds like a great program. Do users think so? Do many people apply for the grants? Charlotte: It depends year to year. We always get more applications than we can fund but are really hoping for at least 20 applications for each of our grant categories this year for competitiveness. We usually get more student and professional development applications than faculty applications. Sometimes our timing for the applications are weird for academics and people miss the messages. Chuck: Hmm, that’s not good that they miss the message. What’s going on and what would you tell them? Charlotte: The summer break is what’s going on. Students, Faculty and High School teachers are focused on finishing classes up. And then they may go on summer break. By the time they get back it’s too late for them to apply since applications close in July. [Ed note: July 8th] I recommend that they take some time right now and fill out the application and get it in. Don’t forget student ID’s, pictures and all that other stuff, too. Chuck: How do you decide who gets the grants? Is there a statistical model? Charlotte: Wouldn’t that be neat?! We really go through and look at the people that are applying and why they want to come to SESUG. We rank the applicants based on their responses. Our preference is people who are presenting a paper and we pick applicants from the Southeast and Northeast (old NESUG territory) first and second. We also really pay attention to whether you can come to the whole conference (or at least most of it). While we do get applications from previous grantees (who we love! ), only those who have not gotten a grant in that category before can be picked. Chuck: What is expected of the grantees at the conference? Charlotte: Show up. Learn. Volunteer. Meet people. Have fun! Chuck: It sounds like a successful program. Are there any success stories for the grant program? Charlotte: All the previous grantees are fantastic success stories. The current Executive Committee has two former grantees (myself included) and many of our section chairs for operations and academics have been grantees before. It is always great when they like it enough to come back and help move this all-volunteer organization forward. Charlotte: I really hope old Ulysses and his wife haven’t absconded! Why is a track a track? We run the race with determination! One of the first major tasks that Chuck and I were charged with as Conference Chairs was to identify the academic sections that would serve as a blueprint for conference content. You would think that coordinating a conference for analysts as analysts would make it easy to predict the topical areas that attendees plan to attend… Not in the slightest. It is challenging to balance consistency with originality. Every pair of SESUG conference chairs that has served before us have infused their own personality and character into the event. Although we went into this with the hopes of leaving our own mark, it was also important to us to ensure that the conference was consistent with past years and retained the SESUG spirit. While I was spinning my analytical wheels, Chuck was dreaming up big ideas. His approach was more creative and rather than asking the question of “what was?” started asking “what could be?” It was during our first site visit to Williamsburg while driving from the Williamsburg Lodge back to the Richmond Airport that we started to discuss our ideas about academic sections. “What do you think about an Analytics Leadership track?” he said enthusiastically. “And how about Open Analytics?… It’s the future of analytics and we can put the spotlight on it in historical Williamsburg!” He said in his humorous Chuck style. After our collaboration, we landed on the academic sections we have for this year. Many of them you know and love like “Coder’s Corner” and “Statistics and Data Analysis.” Some sections will have familiar content with new names, like “Know your SAS: Foundations” and “Know your SAS: Advanced Techniques.” These two sections stemmed from the well-attended “Building Blocks” from past years. Our hope is that by having two sections classified by programming experience, attendees will have an easier time finding content that is relevant to them. Other sections are entirely new, like “Open Analytics;” Although for many years we have seen papers presented at SESUG that leverage SAS with open platforms, we felt it was time to designate a section just for them. After the process of identifying the academic sections came to a close, I realized that my co-chair and I had balanced consistency and originality quite well and I knew we would make a pretty good duo. Chuck is the creative and I bring the pragmatism. Together I think we identified a good set of topical areas that I hope all attendees will enjoy. Till we meet in Williamsburg! 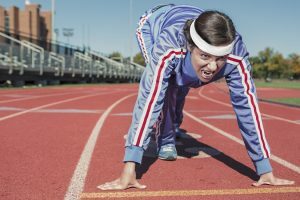 Author seeussug_blogPosted on March 19, 2019 March 19, 2019 Tags #Academics, #determined, #SESUG, #SESUG2019Leave a comment on Why is a track a track? 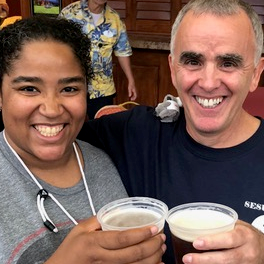 Welcome to the SESUG 2019 Blog! Many people experience the 2 or 3 days of wonderful happenings at SESUG. They see all of the papers and networking, demos and parties. What they don’t see is everything behind the scenes that went into making this happen. It’s a year round job that started for 2019 before the 2018 conference ended. This monthly blog is a peek behind the curtain at some of the many decisions, research, frustrations and excitement. We hope you enjoy. Author seeussug_blogPosted on March 13, 2019 March 19, 2019 Leave a comment on Welcome!